There’s no doubt that you thought being an astronaut was the coolest thing on (and off) the planet back when you were a kid. And even though it’s a tricky profession that’s not suited for just anybody, it appears it might be one of the safest ever, since only 3 astronauts have died while performing their duty in outer space. 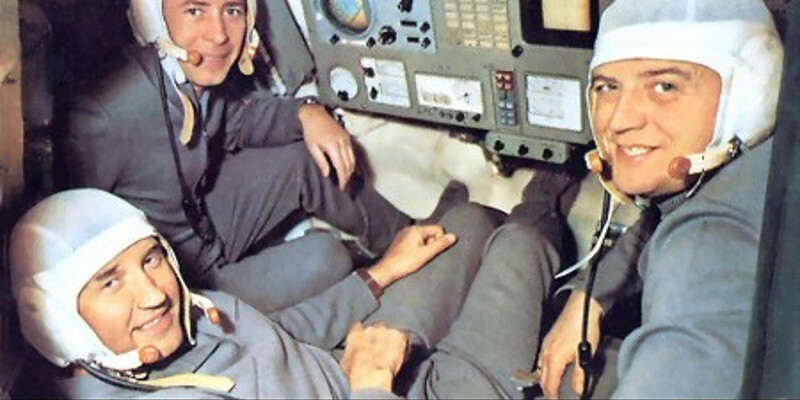 Three men – Vladislav Volkov, Georgi Dobrovolski and Viktor Patsayev were sent out on a mission in 1971. They managed to beat the then-record of longest space endurance by spending a total of 23 days in outer space. They were seen as heroes all over the Soviet Union. Unfortunately, when the welcoming party arrived at the landing site, they found the lifeless bodies of the three astronauts. Even the team’s commandeer couldn’t believe his eyes. As it turned out, they had been dead for about an hour and a half before their spaceship landed back on Earth. According to the official reports, the astronauts were exposed to space vacuum and the cause for the men’s decease was ruled as suffocation.